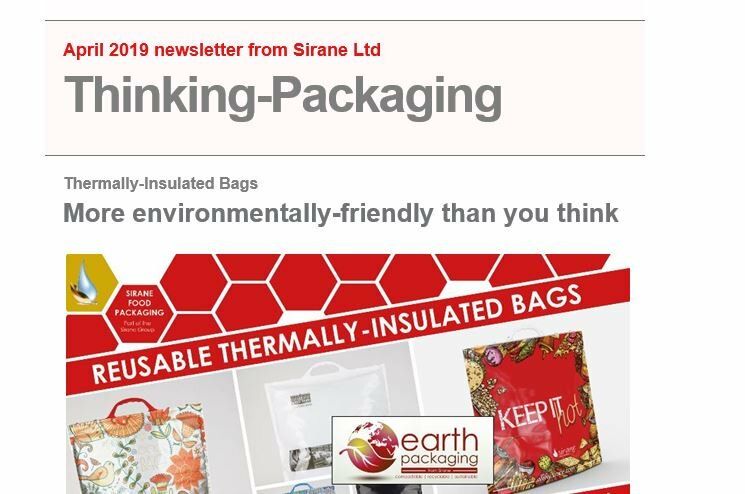 SIRANE’S Earth Packaging range offers compostable and recyclable food packaging solutions that won’t ‘cost the earth’ and can really help you boost your green credentials by cutting both packaging waste and food waste. Environmentally-friendly packaging is a current hot topic, as is reducing food waste, but what if your packaging can actively help contribute to both goals? Earthpouch – the first plastic-free compostable food pouch – is one great example of a product which is both recyclable and fully compostable. Sirane’s Earthpouch – developed in conjunction with B&G Products and HAVI – was a couple of years in development, and Troofoods launched in the new year. Sirane last week acquired B&G, which is now part of the Sirane Group. Peter Ralten, from B&G, said: “Over the last few years food brands and retailers have asked us to come up with an affordable recyclable pouch solution. The Earthpouch – an industry first - is made from a paper with a 100% plastic free heat-sealable coating which is then formed into a preformed stand-up pouch which provides total food security for dry and moist food products. Simon Balderson, Sirane MD, added: “We presented the Earthpouch at Packaging Innovations earlier this year at the NEC, Birmingham, and it provoked real excitement, we’ve had many inquiries on the back of it. The Earthpouch is just one of a range of compostable/recyclable products and packaging solutions Sirane has developed over the years. Simon Balderson said: “The correct food packaging can help to extend the shelf-life of produce, be it meat, seafood, or fresh fruit and vegetables, and it is possible to supply packaging solutions which are also 100% compostable. Compostable food packaging from Sirane includes our breathable bags and films for extending the life of fresh produce. Sira-Flex Resolve is a natural biopolymer which we can make into bags or films, and which can extend shelf-life by many days. Sirane’s Sira-Flex™ Resolve® is a unique plant-based breathable film developed to have the optimum balance between humidity control and O2 and CO2 permeability. The permeability is temperature dependant so that the perfect atmosphere is maintained inside the pack even if the storage temperature is variable. Simon Balderson said: “The results using this packaging film are remarkable. There is no condensation on the inside of the film and the product does not dry out. “The package atmosphere is maintained with the optimum balance of atmospheric gases to prevent degradation. In simple terms, the food lasts longer – but of course in packaging terms it’s fully compostable, so it ticks all the green boxes. Other compostable products include our absorbent pads for meat, poultry, seafood and fruit. Many of our Dri-Fresh absorbent products can be offered in compostable form under the name Dri-Fresh Resolve; for Sirane, Resolve = compostable. Jeremy Haydn-Davies, Sirane sales director, said: “Absorbent products can contribute significantly to a product’s ultimate shelf-life; they are used for a reason. But if going green is your aim, they can be supplied as compostable in many cases. Food waste topped the industry’s agenda in 2017 thanks to Courtauld 2025 - a 10-year voluntary agreement that brings together organisations across the food chain – from producer through to consumer – to make the industry more sustainable. Among the targets are a 20% reduction in food waste in the UK. Sirane also offers compostable packaging for plants/flowers, including compostable bags and films, and compostable plant pots, as part of our horticultural range.